The Arc’teryx Cerium LT Hoody is a durable, moisture-resistant, composite down hoody, best suited as a mid-layer in cool, dry climbing and mountaineering conditions. 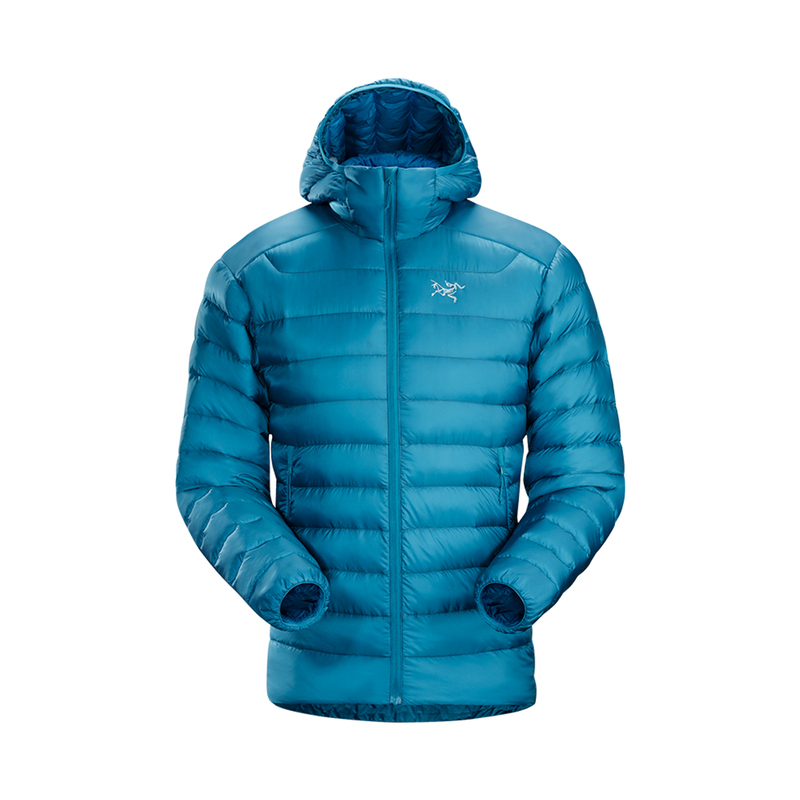 The Arc’teryx Cerium LT Hoody is built to be versatile and functional: Composite Mapping™ puts hydrophobic, synthetic down in the areas most likely to come into contact with moisture - the shoulders, cuffs, underarms, and front mouth - with an 850 fill white goose down in the core and sleeves - your body’s vital temp zone, and your climbing’s vital temp zones. A tough, abrasion-resistant nylon shell with a DWR finish enhances the jacket’s resistance to mountain weather and terrain. Down Composite Mapping™ places lightweight, hydrophobic, and highly compressible Coreloft™ synthetic insulation along the shoulders, cuffs, underarms and front of mouth - areas prone to contact with moisture - and 850 fill European white goose down in the core and sleeves - where warmth is needed most. Insulated hood designed for full weather protection. Can be cinched with one-handed drawcords, allowing it to rotate with the head without obscuring vision when turning from side to side.